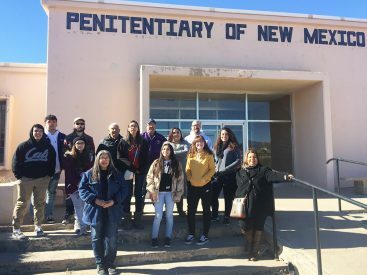 Last week, students in (below) SOC 101: Introductory to Sociology class, visited the Penitentiary of New Mexico “Old Main” Prison Museum in Santa Fe, NM. The students took a tour of the prison and visited the areas where the 1980 riot occurred. The riot began on February 2, 1980 and lasted approximately 36 hours. 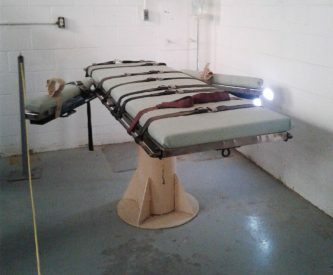 There were 33 inmates killed and another 90 received serious injuries. 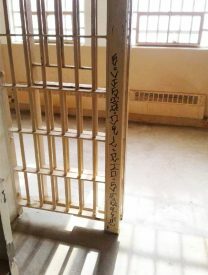 During the time of the riot, there were 1,127 inmates and 14 guards in the facility, in a prison built to hold a maximum of 800 inmates. This field trip corresponded with the chapter on deviance, which the students learned earlier this semester.